We believes in transforming your ideas into new products and services through leading edge technology expertise and business domain knowledge. Sybest was created by the brightest in the field of IT consulting, program development and Web design consulting to provide best of breed services to its clients. Housed with professionals, who are graduates. A quick summary of our current capabilities, at Sybest we rely on continuously building on our capabilities in collaboration with our key customers and startups to co-create solutions that deliver ‘real business value. 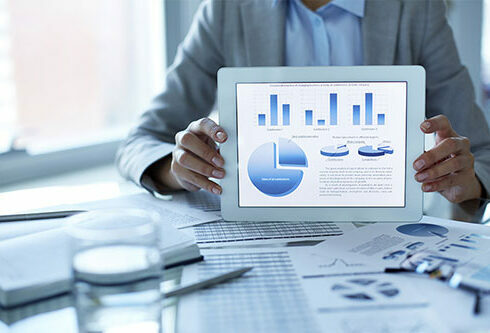 We provide valuable insights based on your business activities using advance machine learning algorithms and artificial intelligent to analysis and provide insight into the financial health and stability of the business. Upon completion, we recommend solutions to increase your profit margin. Net profit margin is critical and a great metric to gauge yourself against competitors. Identify actionable insights that make maximum impact on performance the business and provide a strong competitive advantage. We believe that any solution that is well designed and implemented lies at the cusp of three distinct disciplines – Information Systems, Quantitative Analysis, and Domain Knowledge. A goal without a measurable outcome is like competition without a scoreboard. Numbers are an essential part of our business. If you’re frustrated you can’t Get results, if you’re looking for a solution to a problem or struggling to overcome some kind of obstruction in pursuit of your business goal(s), we might have something for you. As you’re building your business, there will come a point in time when you will need to start investing in it. Finding resourceful and affordable products are wonderful, but sometimes you need to level up your business and invest more to continue to grow. We passionately believe in investing in your business, once you start investing in your business, by investing in products to help run your business more smoothly.